Boat loans that mix business with pleasure. When you’re purchasing a boat for charter use, arranging boat finance is similar to the procedure for any other pleasure boat finance. Fidelity Finance Group makes boat loans easy, by handling every aspect of the application through to settlement process. What’s more by leveraging our massive buying power with $350 million in loans written annually, Fidelity Finance Group can source boat finance at competitive rates from over 20 lenders. 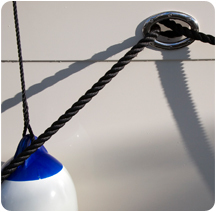 In 99% of cases, your boat stands alone as its own security, and we will not require real estate as collateral. How charter boat finance is different. If you’re considering a boat loan for a charter yacht which you may also have access to for occasional private use, Fidelity Finance Group can assist in your understanding of approriate structures. Laws have changed recently so it’s worth knowing the current situation including the negative gearing issue. Fortunately, Fidelity Finance Group has been tracking the changes to legislation over the years and is up-to-date. Some of our key personnel within Fidelity Finance Group have been the driving forces behind the Charter Boat Industry Survival Campaign in 2002 and have been acknowledged as industry experts. We will give you a clear overview of what it takes to have an acceptable to the ATO charter boat business. Your capacity to meet the repayments based on your income. For 100% finance you need to prove that you have 'tangible' net worth, i.e. equity in property or investments. Our financiers do not want a mortgage, but will simply want to feel comfortable that you have the ability to make good any shortfall between the second hand value of the boat and the amount owed. Complete a charter boat loan application now, without obligation, click here. Or phone +61 (2) 9212 0799 to talk with one of our boat finance specialists.